Obviously, the main issue here is that we are short on space. However, even just getting the smallest amount of distance from each other from time to time is really beneficial. Particularly when I’m in a grump or if I’m getting ready to go out (which really stresses Matt out for some reason), Matt will just sit in the front cab of the van and read his book. Our kitchen separates the cab from the back of the van so we like to refer to it as ‘the other room’. 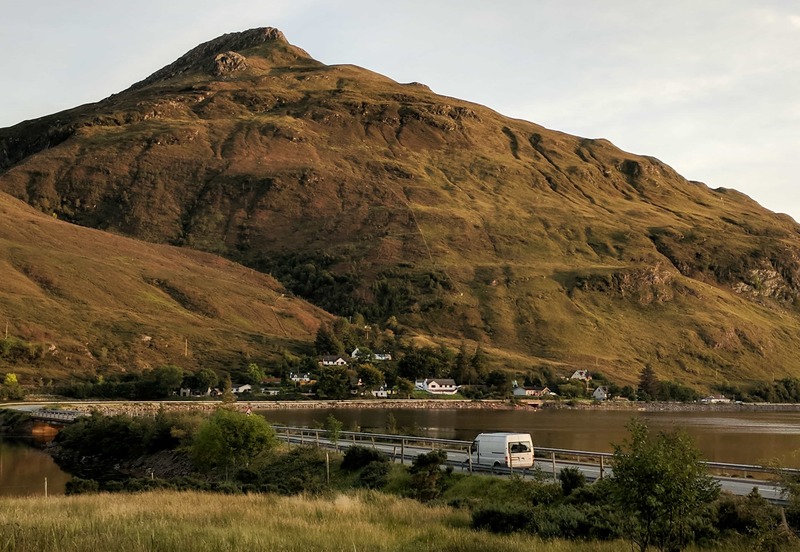 Equally if I need some space for a short time I’ll normally just put my headphones in and go for a quick wander or just sit somewhere a little distance away from the van. Having longer periods of time apart is also important. I quite often like to take a longer walk on my own and go exploring and Matt likes to take his bike out. Having a day from time to time where you each do your own thing makes you less likely to get completely sick of seeing your partner’s face 24 hours a day, and gives you something new to talk about! You wouldn’t spend every waking moment together if you were living a ‘normal’ life, so don’t feel obliged to just because you’re taking this trip together. Everybody needs their own space. I’ll admit this is one aspect I am terrible at and the one which causes the most arguments in our van. I’m not particularly good at voicing how I feel so I’ll quite often sit stewing over something or other without saying anything. Matt is definitely aware that I’m in a bad mood but can’t be sure about what, so becomes increasingly agitated himself until both of us can’t take our pent up annoyance any more and we end up arguing. So my advice would be, make sure you’re open and honest with each other about how you feel, whether it’s if you’re happy with where you’ve camped, how you want to be spending the day, if you’re feeling like you’re doing more than your share of any chores etc. In a small space you’ll find small issues can come to the surface much quicker and become bigger issues if they’re not dealt with. So, always air them out, deal with them, and get back to enjoying yourselves. If possible, make sure you share the driving! The extra expense on the insurance is so so worth it. On our first trip I was unable to get insurance so Matt had to do all the driving. This meant we couldn’t travel as far in a day as he would get tired (and super grumpy and unreasonable after about 2 hours, I might add) and I felt that as Matt was doing all the driving that I was responsible for doing the cooking. It’s so much easier to get to where you need to go when you can share the driving and you can tag in and out so neither of you are getting too tired or bored. And when you’re both doing your fair share of driving, cooking and cleaning it’s much easier to keep any resentment at bay and keep the peace. 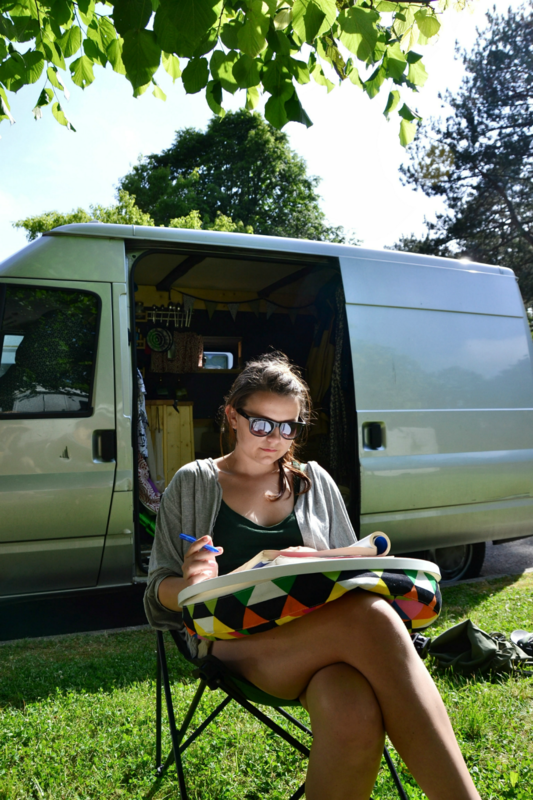 In my experience van living is much less conducive to meeting people than other forms of travelling, particularly if you’re travelling as a pair. People are less likely to approach you as a couple and you may find opportunities to meet people are fewer than, say if you were hitch hiking or backpacking and staying in a lot of hostels etc. That means you’re going to have to do the reaching out! 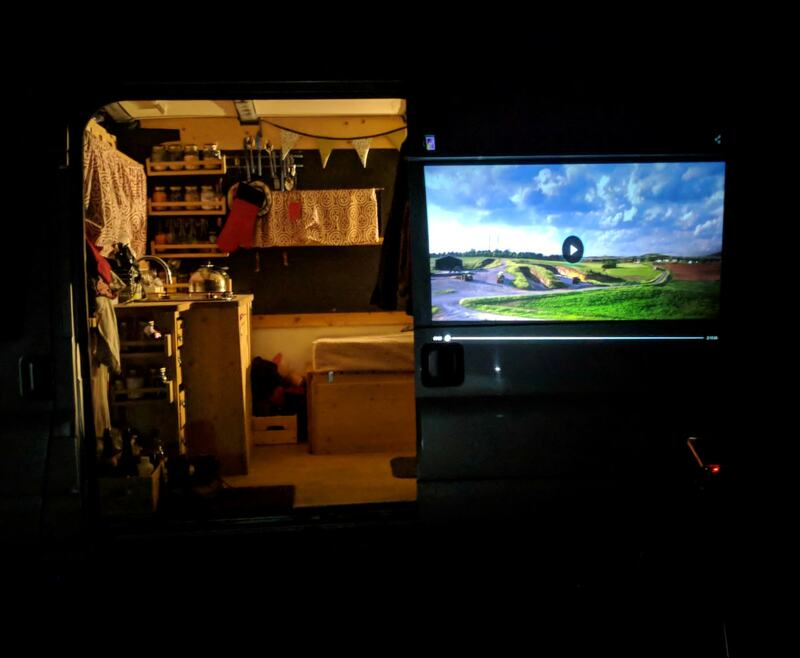 One of the things I find most challenging about van living, as someone who is cursed with being both an extrovert and socially awkward, is the lack of social life. 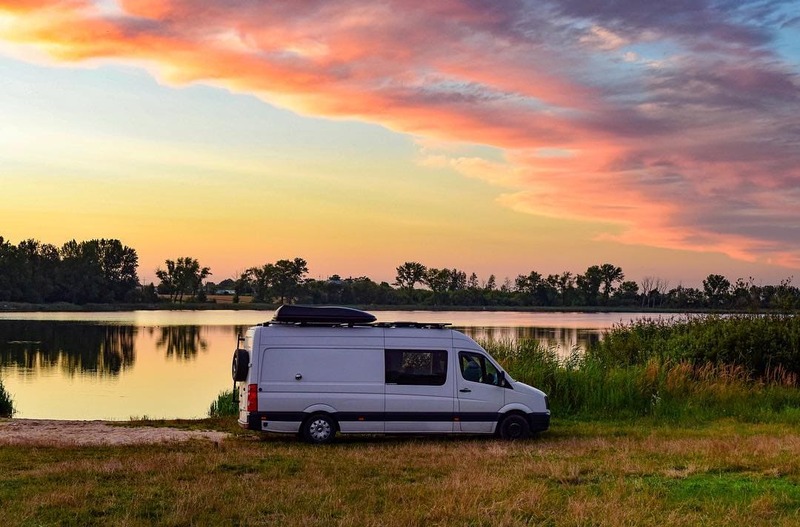 Use social media to connect with other van lifers and maybe meet them along your travels, or just reach out of your comfort zone and start a conversation with another human being. Normally they are nice and you might end up in a snazzy motorhome getting absolutely off your trolly on German wine with a nice couple who don’t speak that much English but do have a lot of wine. If you have a fight, or have a sudden moment where you just can’t take it anymore and storm off in a huff, learn to make up quick. It literally makes no difference if you are mad at each other or not, you’re here together and you can either be in each other’s company not enjoying yourselves, or you can apologise, move on and go back to being in each other’s company and enjoying yourselves. And certainly never, ever carry those arguments into the next day. If it’s something that keeps coming up maybe it needs a bigger conversation, but chances are you were just tired/hungry/fed up and snapped. Just say sorry and maybe have some wine. Or get naked.